Oil and Gas company, Springfield Ashburton Limited has again debunked reports circulating in the media, particularly controversial website, Sahara Reporters, linking its MD/CEO, Mr. Kevin Okyere, to corruption in Nigeria’s oil sector under former Petroleum Minister, Mrs. Deziani Alison-Madueke. Our attention has been drawn to the wide spread rumors and allegations circulating in the media about the MD/CEO of Springfield Ashburton Limited- Mr. Kevin Okyere, particularly the Sahara Reporters online publication of 14th October 2015 titled “Ghanaian Oil Tycoon Kevin Okyere Bought A £4.5m London Mansion In 2014 Tied To Diezani’s Looting”. The above statement is ludicrous. The house in question was paid for in March 2014 and the sale closed in May 2014. The first contract awarded to our company was in May 2014, however, we received our first crude oil lifting in June 2014, which we got paid for in July 2014. We fail to see how a property paid for in March 2014 provides a connection to an oil contract awarded in May 2014. All allegations against Melanie are baseless. Melanie Spencer has not been implicated in any investigation and has absolutely nothing to do with the Minister or any of her dealings. It is only logical that Melanie’s address is at Kevin Okyere’s property given the fact that she is his wife. As stated above, there is no connection between Kevin Okyere’s property and Mrs. Alison Madueke. It is spurious to imagine that a bank of Standard Bank’s quality will lend itself to a “highly suspicious” transaction. The loan in question was obtained and processed through all appropriate official channels and is backed with proper documentation. The Federal Minister did have a Senior Special Assistant named Kevin, a Kevin Allanso NOT Kevin Okyere. Mr Okyere is a Ghanaian and it is preposterous to imagine that he will be appointed Personal Assistant to the Federal Minister of Petroleum in Nigeria. Kevin Okyere is not and has never been Mrs. Madueke’s personal assistant and has never been employed by the NNPC or any other Government institution in the world. Furthermore, Mr. Okyere is the founder, Chairman and CEO of his self-owned group of companies. As a business man running his own business it is unfathomable how he would successfully run a multinational business while doubling as a Personal Assistant at the same time. It is a shame that in their bid to sensationalize and smear the good name of a hardworking entrepreneur, Sahara Reporters threw all the professional ethics of journalism to the wind and failed to investigate and check all their facts before publishing. This claim of the award of a $40billion annual contract to Springfield is totally ridiculous. The company has never received that amount. One only has to think of what the total value of annual crude oil lifting contracts in Nigeria is (about $60billion) to realize that this claim is utterly baseless. 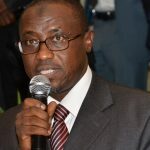 The only contracts which the Company has partaken in from the NNPC is NNPC’s crude oil lifting contract which was awarded to it alongside 26 other companies and a condensate contract for EGP3 out of which only 4 cargos have been lifted to date and an LPG contract, from which no cargos were ever lifted. There was absolutely nothing untoward about the award of these contract as due process was followed to the letter. Springfield is not and has never been involved in crude oil swaps or subsidy contracts. As stated above, there was absolutely nothing untoward in the award of the oil lifting contracts to our company. 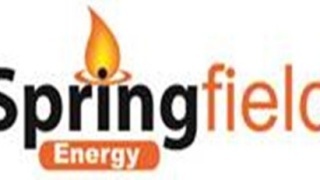 Springfield has been in business since 2008 in Ghana giving it considerable expertise in the oil business. It is usual to take into account the expertise of the Group Company when awarding a contract to the National subsidiary. Thus, Springfield’s track record in Ghana was taken into account prior to the award of the contract and it wasn’t considered a “mere two years after incorporation” as Sahara mockingly couched it. It took Springfield two whole years to get awarded the oil lifting contract after a failed attempt. The final award was on merit due to a strategic partnership with BP. Springfield’s track record speaks for itself as it has not been involved in any oil swap contract or participated in the oil subsidy, areas which have caused a lot of controversy in the industry. All Springfield’s contracts with NNPC have been discharged diligently and we are not indebted to any of our trading partners or banks. Dissolution of the company in the UK was a routine business decision with no connections to the elections. The company decided that it did not make business sense to keep on incurring the expensive costs of running an office in London when the Company had little or no operations in London. Maria Luisa left the company to move on to other projects because we decided to dissolve the company. As stated above, Melanie Spencer has never been arrested by the UK National Crime Agency and we have not been notified by the UK National Crime Agency of any investigation of Melanie Spencer. It is a totally ridiculous suggestion that Mr. Okyere is the “pocket” of anyone. Mr. Okyere has never been “the pocket” for anyone including Mrs. Alison-Madueke or Nana Akufo Addo. It is indeed right that Mr. Kevin Okyere has sued these publications (The New Statesman: $7.5million, Alhaj Alhaj, Herald & The Republic: $3.7 million each)for printing outright lies and fabrications. Springfield Ashburton Limited and Mr. Kevin Okyere are law abiding citizens and will explore all legal avenues to right a wrong that has been done to them. As has been stated above, our Company started business in 2008, long before Mrs. Alison-Madueke became minister. The claims in the media that our company’s success is tied to a supposed “connection” to Mrs. Alison-Madueke are preposterous. We have worked painstakingly over the years to build our reputation as a credible and worthy player in the oil and gas industry, and indeed we have come very far as an indigenous African company. Any attempt to tarnish our image with baseless allegations shall be met with appropriate legal action. Our company will not hesitate to use every legal means to protect our interests as we owe that much to our business partners, stakeholders and the general public.